J Law as discussed yesterday is my spirit animal. She charms the pants off me in the most non sexual way possible. I was such a fan of her pink Dior number from 2013 when she won her Best Acting Oscar. But I just don’t see myself wearing this on girl’s night out. So I found an ideally inspired alternate. Sandy was a shimmery, sparkly column of stunning when she accepted her Oscar for Best Actress for her role in The Blind Side. But I don’t want to want to wear a full length gown to my birthday party! And now we’re going way back. 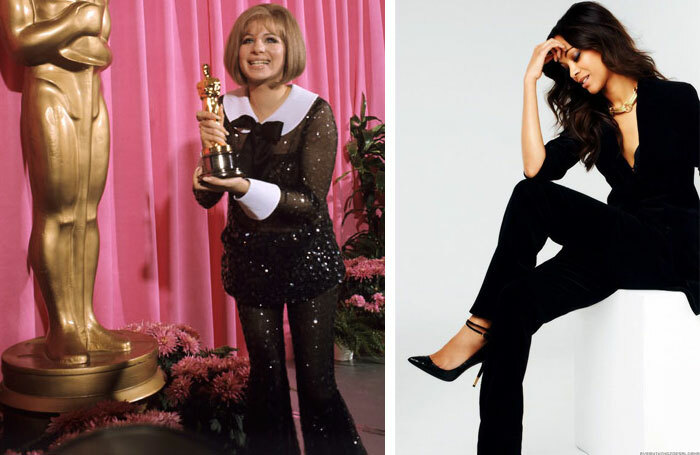 I love me some Barbara Streisand and Babs really knocked it out with her sparkly, see-through, onesie, pantsuit. What a doll! Unfortunately, it’s not exactly office appropriate. What would I wear to work instead? I thought you’d never ask. Black power suit for the win. PS How cool is this? Now there are a lot more that I am a fan of, but there’s only so much time in my day and so much space on the blog. 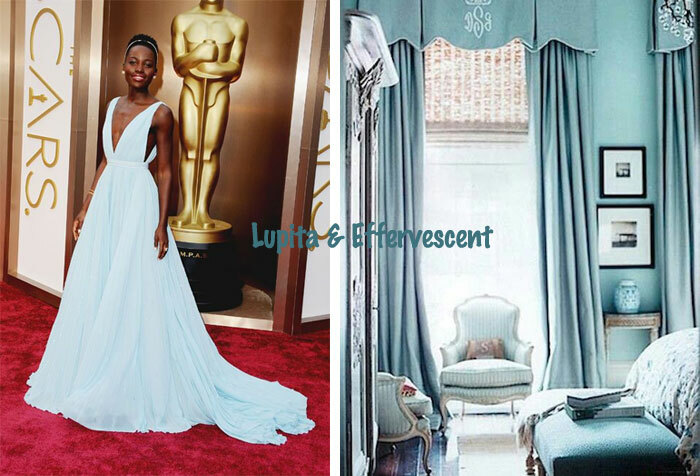 What are your all time favorite Oscar looks? Or could you give a flying flip? either way, have a great weekend, winner! Let’s be honest, sometimes we have a smaller load than normal and we mix a couple the darks and the brights. Welcome to today’s post. 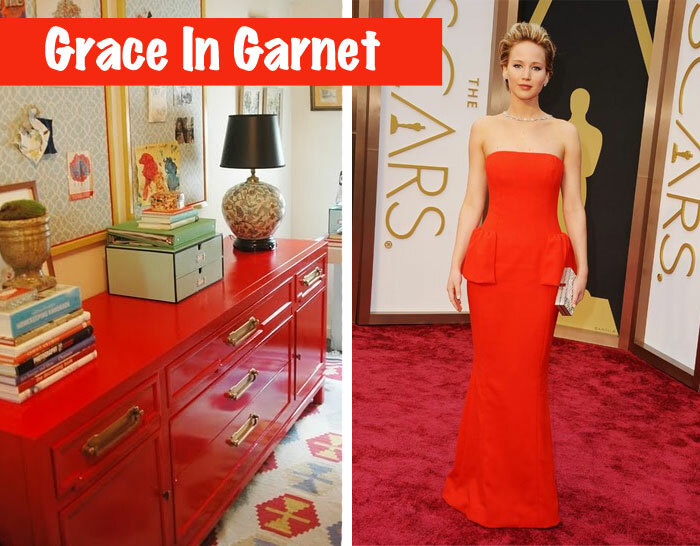 We are wrapping up our 2014 Oscar’s Review with a mixture of the brights & the darks! 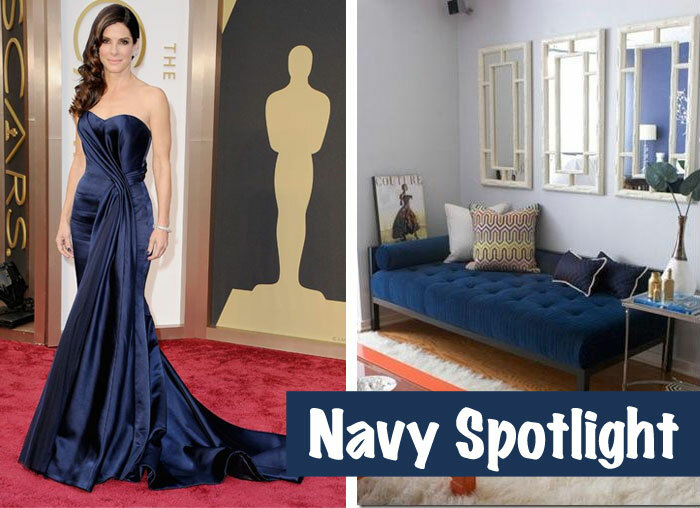 My main girl Sandy wowed in Navy. It’s a versatile shade of blue. 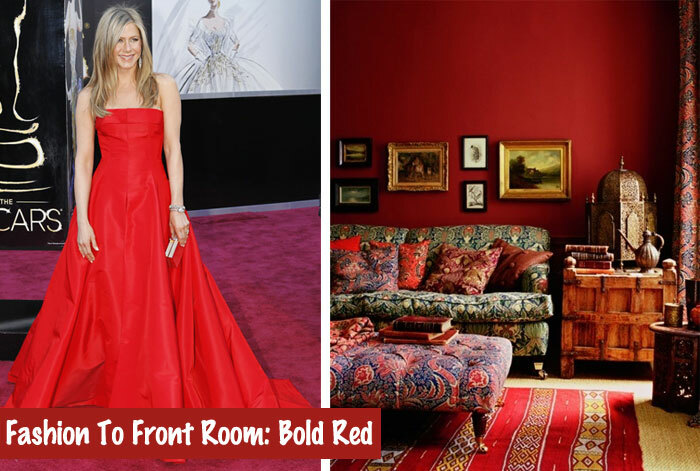 If you want to keep it off your walls, throw a spotlight on the deep hue with a sturdy sofa. J.Law is my spirit animal. 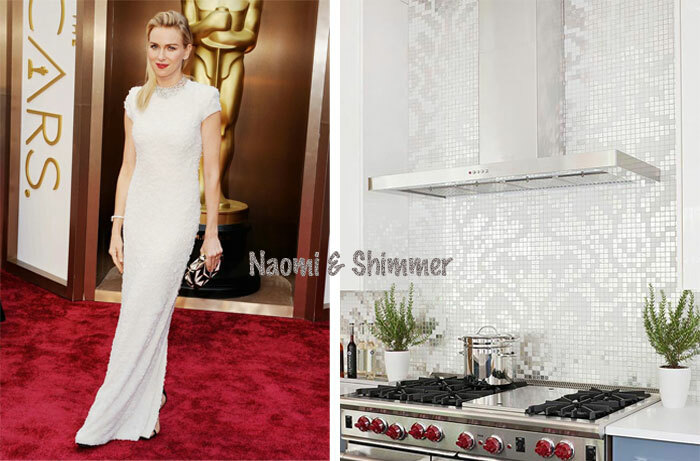 And this year at the Academy Awards, she continued her tradition of tripping and looking spectacular. Red is a bold statement. Add a little bit into a space to see if you like the color (as opposed to say, painting the whole room). Sometimes a little bit goes a lot farther. I’ll be honest, I wasn’t that much of a fan of this dress when I first saw it on TV. And it’s not that much of a stunner in photos. But when Annie walked out on stage, you really got the full effect. This dress is something special and deceptively gorgeous. 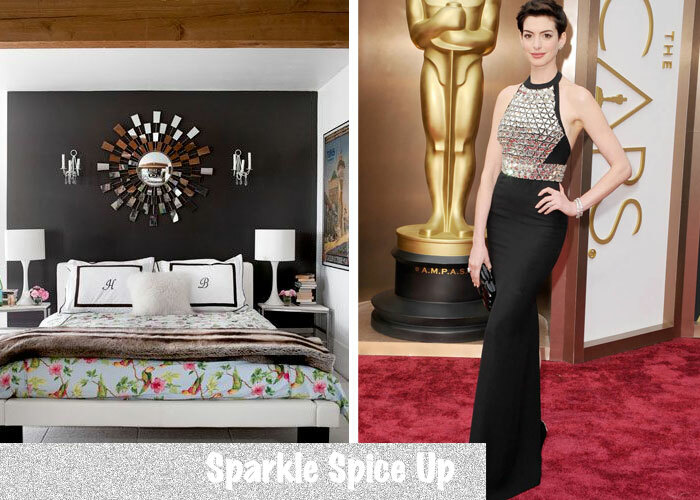 Punch up a dark spot in your home with some sparkle! So there you have it. 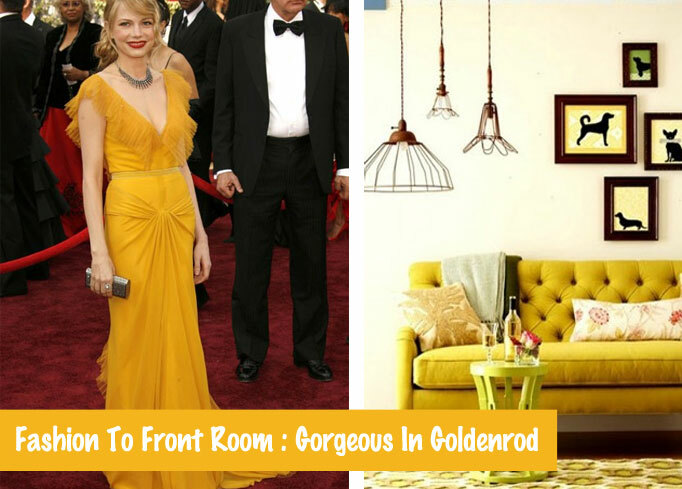 I hope you enjoyed my extended version of Fashion To Front Room in honor of Hollywood’s biggest night! Hang tight – we’re almost to the weekend!